… from the eyesight proceeds another eyesight and from the hearing proceeds another hearing and from the voice proceeds another voice eternally curious of the harmony of things with man. I cannot think of a better definition of poetry’s visionary impulse. The poet employs his or her senses in the service of a perception that is not of the order of this world. It is a mode of perception that points to another world right here in our everyday homelessness. 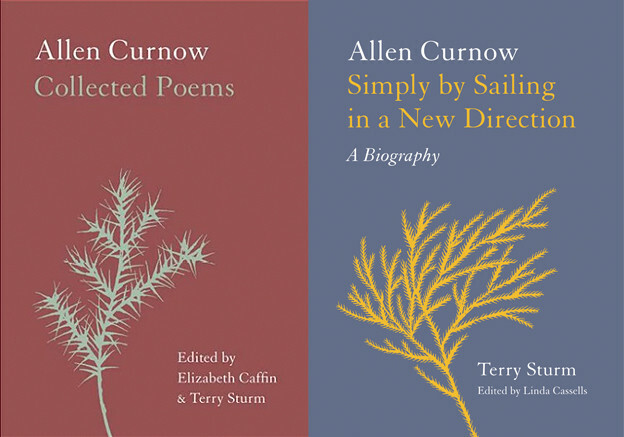 The key to the visionary impulse is in our mutual sympathy: if the poet is curious about “the harmony of things with man,” then we too can be curious. The aim of the visionary impulse is to explore the endless ravishments and ravagings — harmony’s dualities — of the unacknowledged worlds within our world. 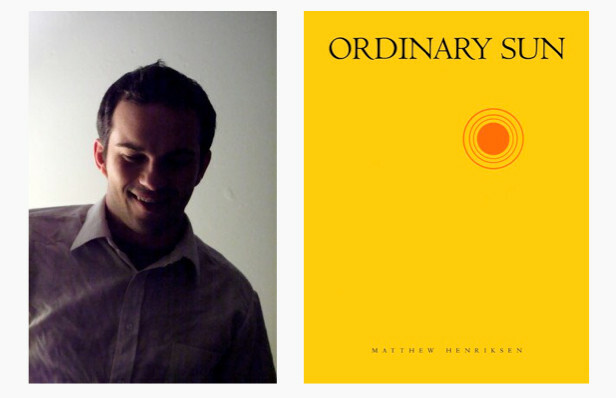 Matt Henriksen is a visionary poet in the decidedly American, Whitmanic grain. 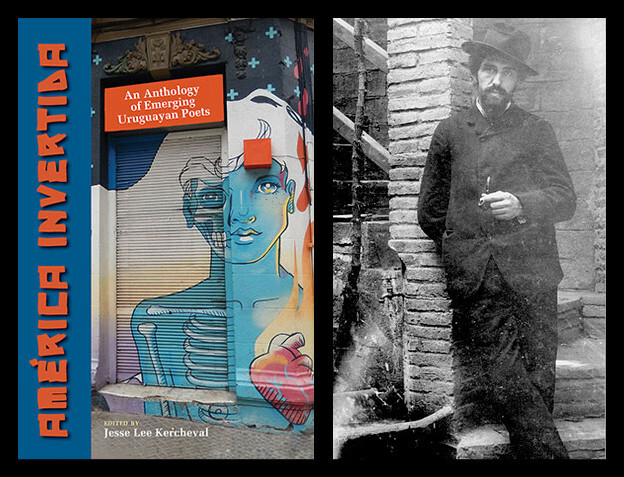 His first book, Ordinary Sun, is a record of his process of discovery and invention as he has harnessed various strains of the American Visionary. Throughout the book we find Blakean prophecy as filtered through the Beats’ rebellion against the limits of stifled selfhood; we find James Wright’s pessimism bound in pastoral; we find a Stevensian beatitude; we find Romantic Brooklyn (R.I.P. ); we find the haunting Southern convulsions of Frank Stanford; and we find the transcendentally homespun observations of the Williams lineage. An eye is not enough. A hand rubs an unpainted fence. Ignores the Regime of Endless Centerlessness. I held out my paper cup. We’ll miss the world bitterly. We’ll go on without it. Light from the garage: hands from the tree. The first turn — “In refuse we find a hidden refusal / to die” — embodies a negative truth on level with Williams. It offers a clean angle on the connection between garbage and death that, though abstract, is married to sense. But “a shape // that never forms” is overly abstract, and “a blinking eye / that will not shut” is easy surrealism. These second and third turns are both abstractions severed from perception — they veer into a realm of entropic symbolism. The impulse here is visionary, but in moments like these Henriksen loses his vision. While I feel that in these lines Henriksen is attempting to stretch the poetry beyond its impulse, they do stand as further evidence of his motley poetics, combining as he does so many seemingly contradictory influences. One of Jack Spicer’s many characterizations of the act of poetic creation was of the poet wrestling with the limits of the poem. Here Matt is wrestling with the possibilities inherent in past poetic traditions by reconfiguring them in new ways, as he does throughout the book. It just doesn’t always work. We set our bodies on the grass. The plainspoken tone here conveys a densely charged moment. The scene described could be one of astral birth, just as much as bodily death. There are dual undertones of the terror of disembodiment and of creature comfort. It is a true marriage of the quotidian and the visionary, the Of This World and the Of Another World, the core dualities of Henriksen’s purview. While moments of Ordinary Sun seem oddly abandoned, I find a poetry that makes visible its lacunae — or its scars — much more engaging than another well-wrought urn. Maybe Henriksen knows when the spirit of the work has left him, when the corpse of the words on the page is all that’s left. Rather than cut open the corpse and attempt to Frankenstein a new poem, he lets us readers do what we will with what he has. Of course I am hypothesizing here, projecting a philosophy of poetic composition onto Henriksen’s practice based entirely on my own bias. Maybe “a blinking eye / that will not shut” will be the one relic from this book to survive a millennium from now, after several apocalypses have occurred and only shreds of shreds of our era remain. If so, so be it. But here is the point: Ordinary Sun offers a variety of visionary embraces of ordinary life, and in much of its prosody is an acute awareness of the ways inspiration momentarily inhabits and slips away from us. Poetry does not care whether the poet is able to finish the poem. Matt Henriksen not only knows this, he has reckoned — and wrestled — with it within the space of poetry itself.